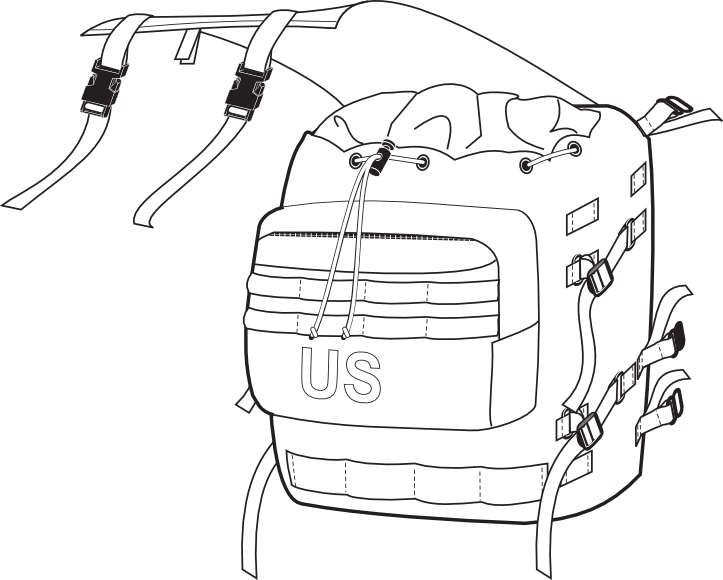 The front pocket on the main pack is designed to accommodate a claymore mine. The claymore mine pocket also contains a removable bandoleer which holds up to six additional thirty round magazines which can be slung across the shoulders. 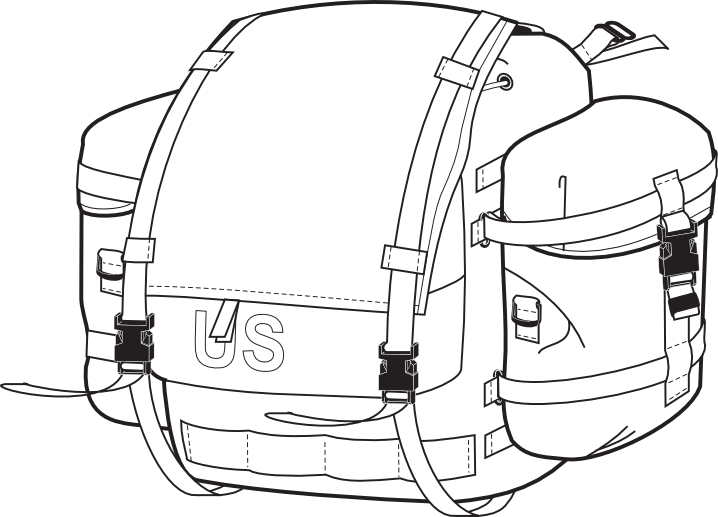 The top flap of the main pack is a clear removable map case with a hook and loop closure. The clear side can be written on with a grease pencil. The main pack contains a collar made of water resistant material which is secured with a cord and barrel lock. Inside the main pack, against the back panel is a removable radio pocket designed to carry a SINCGARS radio.